Bloomington Crewneck Sweatshirt Art.no. 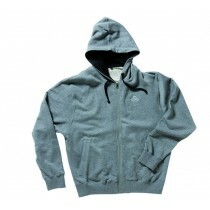 90714809 Color: Mixed Gray Quality: 80% cotton + 20% polyester. This Bloomington Crewneck Sweatshirt is mainly designed for style, craftsmanship and fit, what that really means is that they’re made to last. This Sweatshirt is made of high-quality dur..
Jacksonville Jacket Art.no. 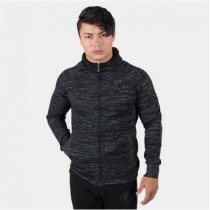 907078000 Color: Gray Quality: 80% Cotton & 20%Polyester Nice thick Gorilla Wear jacket, good for a workout but also perfect for casual wear. The side of the jacket you will find a special diamond shape designed padding print. 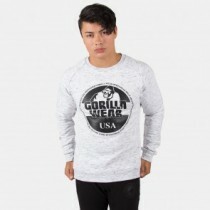 The Gorilla Wear logo is not the ..
Jacksonville Jacket Art.no. 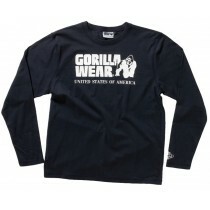 907079000 Color: Black Quality: 80% Cotton & 20%Polyester Nice thick Gorilla Wear jacket, good for a workout but also perfect for casual wear. The side of the jacket you will find a special diamond shape designed padding print. 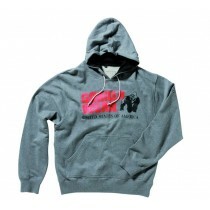 The Gorilla Wear logo is not the..
Keno Zipped Hoodie Art.no. 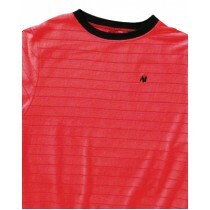 90712908 Color: Black/Gray Quality: 80% cotton + 20% polyester. The Keno zipped hoodie is fashionably loud and sophisticated at the same time. It will keep you warm and comfortable when you’re traveling or just give you comfort when you want to hang out with some f..
Keno Zipped Hoodie Art.no. 90712908 Color: white/Gray Quality: 80% cotton + 20% polyester. The Keno zipped hoodie is fashionably loud and sophisticated at the same time. It will keep you warm and comfortable when you’re traveling or just give you comfort when you want to hang out with some f..
Art.no. 90703900 Color: Black Quality: 80% Cotton & 20%Polyester This Gorilla Wear pullover hoodie is comfortable and simple for everyday wear. 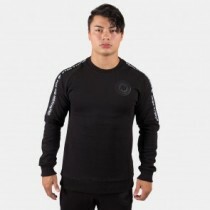 A classic sweatshirt built with durable high quality fabrics and designed for a modern, tailored fit. 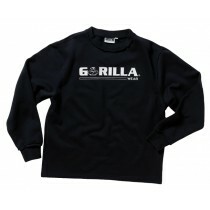 This sweatshirt features a large Gorilla Wear..
Paxville Jacket Art.no. 90806984 Color: Black/Gray with a neon color touch inside. Quality: 100% polyester. 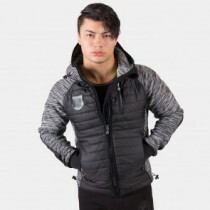 To make sure your gains are nice and warm during the winter Gorilla Wear USA has created a new modern high-quality jacket. Gorilla Wear Paxville Jacket provides the user with war..